The probate process can be a complicated process, which is made even more stressful because of the fact the process occurs at a time of grief when you are coping with the death of a loved one. Anyone who is involved in the probate process needs to understand how this process works and must ensure that their rights are protected throughout the entirety of the process. The best way to reduce the worry and complexity associated with the probate process while protecting your interests is to get legal help. 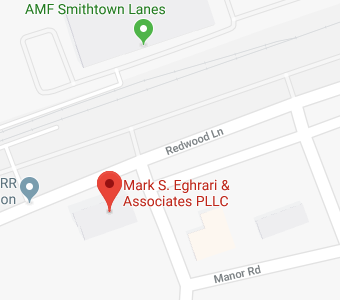 Mark S. Eghrari & Associates PLLC provides representation to all interested parties who are involved in the probate process. Our legal team offers the help and support that executors need to fulfill their obligation to handle the court paperwork of the probate process, manage assets, comply with tax obligations, and ensure the wishes of the deceased are respected. We also offer assistance to heirs or beneficiaries who are concerned about an inheritance and who want to make sure that the probate process goes smoothly, and provide help to anyone who wishes to contest a will because they do not believe that the last will and testament is actually legally valid and a true reflection of the wishes of the deceased. There is too much at stake during the probate process to take a chance on the process going wrong, so you should reach out to Mark S. Eghrari & Associates PLLC for personalized legal advice when someone you love has passed away. You can also review these answers to questions that are commonly asked about the probate process so you can find out more about what is involved in this process and develop a better basic understanding of what is involved in probate after a death. The probate process can be avoided with careful estate planning. It is important to make plans to avoid probate before you pass away if you do not want heirs or beneficiaries to be forced to go through the probate process. By transferring assets in other ways, such as transferring assets via trust administration or transferring assets through joint ownership or pay-on-death accounts, it is possible to ensure that there are few or no assets that transfer through probate.If you make an estate plan to avoid the probate process, you can spare your family the expense associated with the probate process and you can allow heirs or beneficiaries to inherit in a much more timely manner. If you have loved ones who are dependent upon you to provide them with income and who you wish to provide for after you are gone by leaving an inheritance, you may wish to avoid the probate process so the people who are counting on you are not left waiting for months to inherit. Both the executor of an estate and heirs or beneficiaries need to understand who takes care of estate assets during probate. Taking care of assets is the job of the executor of an estate. The executor must identify all assets that are part of the estate, do a complete inventory, make claims to recover funds owed to the estate and do everything else that is necessary to protect all of the assets.The executor has a fiduciary duty (the highest duty owed under the law) to the heirs or beneficiaries to ensure that decisions that are made on asset management are made with a focus on the best interests of those who will inherit. An executor is not allowed to misappropriate estate assets for himself and cannot act in a way that would be a conflict of interest that could put his own goals at odds with what is best for the estate. If you don’t do your job as executor of a will, you could be removed by the probate court judge. Depending upon your actions, it is possible that you could also be sued by heirs or beneficiaries for breach of a fiduciary duty. If you caused financial loss as executor of an estate because you acted in an inappropriate and irresponsible matter– such as if you stole estate assets – you could be sued and could be required to compensate the heirs or beneficiaries for the losses that you caused. You want to ensure that you do your job correctly and are not accused of a breach of a fiduciary duty so you should contact an experienced attorney to get help ensuring that you are able to complete your responsibilities properly when you act as an executor of an estate. Probate is an inherently slow process because there must be time allowed to provide notice to potential heirs or beneficiaries and to provide notice to creditors. You also have to wait for the court to schedule probate proceedings and you need time to identify all estate assets. Creditors must be given a chance to make their claims, and an opportunity must be provided in case anyone wishes to contest a will. However, while the probate process can take many months, a Long Island probate lawyer can help the process to move as quickly as possible. Mark S. Eghrari & Associates PLLC can provide guidance to the executor of an estate as well as to heirs or beneficiaries on how to move the probate process along in as timely a manner as possible. Our legal team can help with court paperwork and with completing all technical steps to move probate forward so there are no unnecessary delays or problems. And, if an executor of an estate is not doing his job correctly, we can help those who stand to inherit to take action as well. To find out more about the ways in which an attorney can help you, give us a call at (631) 265-0599 or contact us online today.